A Fort Worth, Tex., woman found dead in her burned apartment is now believed to have been bound, strangled to death, and set on fire with what appears to have been rubbing alcohol by two former coworkers. Ashlea Harris, 31, was an assistant manager at an American Eagle; her friends told police she was last seen leaving an early-morning Black Friday shift. Her body was discovered after Tarrant County firefighters extinguished a small fire at her apartment. Police quickly said Harris "did not die of natural causes," and that they were investigating her death as a possible homicide. 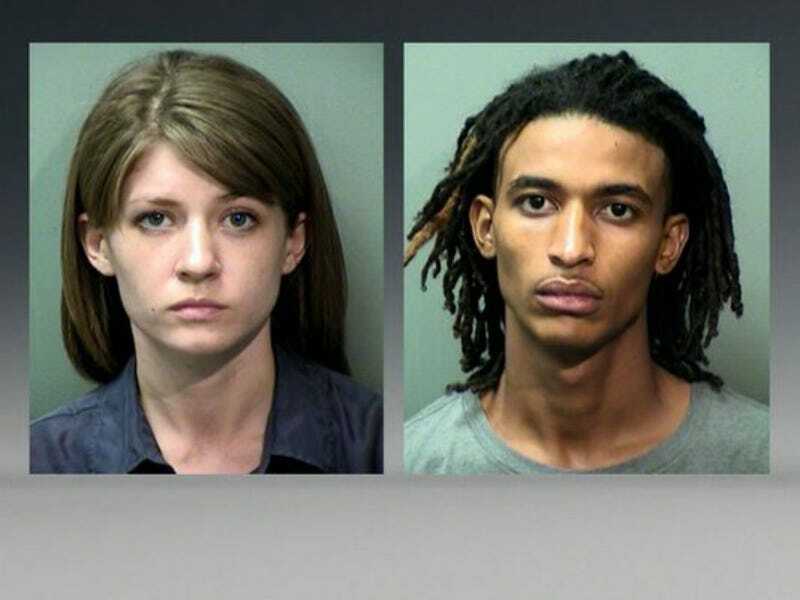 Late Sunday, according to the Dallas Morning News, they arrested two of her former coworkers, Carter Carol Cervantez, 25, and Clarence David Mallory, 19. Both Cervantez and Mallory are also suspects in an August burglary at American Eagle where more than $18,000 was stolen. Affidavits in the case reveal that both Mallory and Cervantez were fired soon after the thefts, with Harris identifying them as possible suspects. Police now believe that the two planned to rob the store again; they stole Harris's keys and emptied her wallet after killing her. Her hands were bound with duct tape and an empty bottle of rubbing alcohol was discovered near her body. Cervantez was arrested in Fort Worth, while Mallory was apprehended in Amarillo, more than 300 miles away. Both are being charged with capital murder and theft and being held on a $600,000 total bond.